Bilderberg Is Too Secret, Says British MP. In the book 1984, the government watches everything you do with ubiquitous cameras, microphones recording every word spoken, drones flying in the air—they literally knew what everyone was thinking before they thought it. Watford, sunny Watford, has changed the hitherto secretive Bilderbergconference forever. In a freshly strimmed corner of the grounds of the Grove Hotel, half a mile from the most important international policy conference in the world, something remarkable happened: the mainstream press showed up. In droves. The infamous Bilderberg Group’s “scene of the crime” for 2013 will be The Grove Hotel near London, sources say. . . .
Visit the Exposing Bilderberg 2012 and Occupy Bilderberg Facebook pages for real time up to date information. Bilderberg is one of the real power structures at the helm of the planet and must be fully exposed to ever have a chance to dethrone the global crime syndicate commonly referred to as the New World Order. 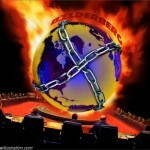 Note: If you have a radio, TV, or podcast show and want to interview us in regards to Bilderberg 2012 you can contact us here. For years respected press agencies such as the Washington Post and the New York Times have attended the meetings, subsequently hiding the truth from the public for over 50 years. Those times have now come to an end.